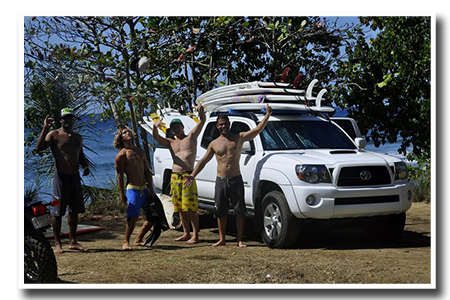 Surf Lessons Puerto Rico Surf Puerto Rico- Get the inside scoop from a local surf guide!!! Why should you Surf Puerto Rico? The main reason you should surf Puerto Rico is because there are perfect waves here for all skill levels!!! Surfers have been flocking to Puerto Rico for over half a century now. Whether you are a beginner, intermediate surfer or, someone who has been surfing for years. There is no better feeling than being propelled by an offshore wind down the line of a Puerto Rican wave. The water is warm all year round so you don’t need a wet suit. The area also has many beachfront restaurants and bars. Great dining and refreshments can be had almost immediately after a solid surf session. What are the best spots if I want to Surf Puerto Rico? There are plenty of breaks to chose form once you are here and ready to surf puerto rico. The Northwest side of the island serves up the best surfing conditions. If you want to Surf Puerto Rico the Northwest in Rincon is the place to be. Some of the main wave rich zones are. Gas Chambers is and excellent spot if you want to surf Puerto Rico. This is probably Puerto Rico’s best right tube. Crash Boat is a super place to surf Puerto Rico. The waves are created by old Navy Docks that have sunk into the sand. Antonio’s is where many of the heats during the 1968 World Surfing Championship were held. Domes was the main spot for the famous 1968 World Surfing Championship. Tres Palmas is the most famous big wave in Puerto Rico. It doesn’t even start breaking until it’s double overhead. The entire area is protected by the surf rider foundation. When it isn’t breaking it’s one of the best snorkeling areas on the island. Crowds are inescapable at many of these breaks. Sometimes some of the locals can get territorial. Just remember to be super respectful and, follow the wave zone rules. If you know how to surf you should be OK. There are also many spots off the beaten path that serve up incredible surfing conditions for beginner to advanced. Even if you’re a seasoned surfer a local guide is many times your best bet. If you need a guide or instructor give us a call 787-617-4731. Ask about our charter services.When you are with a company like Surf lessons Puerto Rico Adventure Company there are no worries. We are the locals!!! Do you already know how to surf and need a local guide?